One of the greatest pleasures of Indian summer is the special nudge its gives heirloom tomatoes to sun-ripened perfection. As we pursue the great tomato hunt, there’s one event that tops them all—the annual Kendall-Jackson Heirloom Tomato Festival, which returns on Saturday, September 27, 2014, for a one-of-a-kind celebration of Sonoma County’s seasonal bounty. Now in its 18th year, the popular festival has a cult like following, attracting tomato lovers from all over the West Coast. Highlights include—the popular heirloom tomato tasting station offering some 175 varieties of heirloom tomatoes (grown by Kendall-Jackson); an Heirloom Tomato Grower’s Competition (judging is Thursday, September 25, 2014 with winners on display on Saturday); the popular Chef Challenge featuring Bravo’s Top Chef® contenders; and tomato-inspired gourmet delights from nearly 50 prominent wine country and Bay Area restaurants, chefs, and food purveyors. Guests will also enjoy wine tasting, live music by the Carlos Herrera Band and educational wine and garden seminars. The event, which utilizes nearly 10,000 pounds of heirloom tomatoes, benefits the Ceres Community Project, which involves community-building through providing nourishing free meals to those struggling with serious illnesses. ARThound’s favorite part of the day is engaging complete strangers in tomato talk —what’s the best tasting heirloom tomato? What’s the best way to grow them? Of course, it’s foolhardy to even attempt to answer these questions but it’s the kind of talk that happily engages any tomato fanatic—for hours. 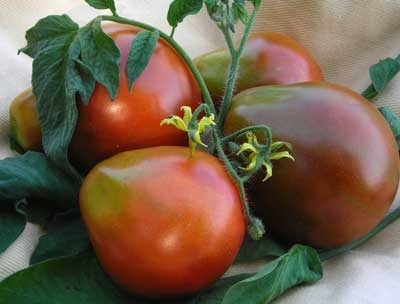 —The largest tomato on record was grown in 1986 in Oklahoma and weighed 7 lbs. 12 oz. About Kendall-Jackson Winery: Kendall-Jackson is one of America’s most beloved family-owned and operated wineries. 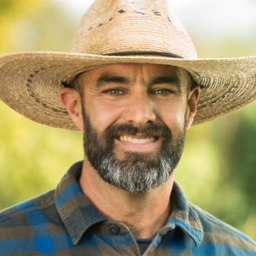 Founded by entrepreneur Jess Jackson and now led by his wife Barbara Banke and their children, Kendall-Jackson is based in Sonoma County and offers a range of acclaimed wines grown on the family’s estate vineyards along the coastal ridges of California. A leader in sustainable vineyard and winery practices including solar cogeneration, water conservation, and natural pest control, 100% of Kendall-Jackson’s vineyards in California are SIP Certified (Sustainability in Practice). Learn more online at http://www.kj.com, and follow KJ on Facebook. Engage in this year’s Tomato Festival conversation on Twitter via @KJWines and #Kjtomfest. Details: The 18th Annual Kendall-Jackson Heirloom Tomato Festival is Saturday, September 27, 2014 from 11AM to 4 PM. Kendall-Jackson Wine Estate & Gardens are located 5007 Fulton Road, Fulton CA 95439. Advance ticket purchase is essential as the event sells out every year. Purchase tickets online here. General Admission tickets: $95; VIP Package $150. Wear Sun Protection to this outdoor event. Directions: From Highway 101 going NORTH, take River Road exit. Come to stop light and turn LEFT going over the freeway. Travel approximately 1 1/4 mile to first stoplight, which is Fulton Road. Turn RIGHT at Fulton Road. From Highway 101 going SOUTH, take Fulton Road exit. The FIRST driveway on the right is the Kendall-Jackson Wine Estate & Gardens. 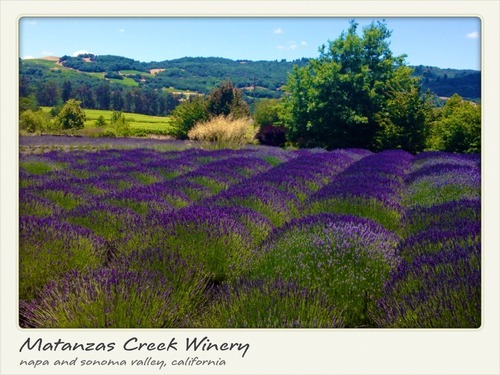 Tucked in the hillside of beautiful, hidden Bennett Valley, the Matanzas Creek Winery and vineyard is also home to 3 acres of lavender gardens planted in 1991. To celebrate the beauty of this remarkable rustic estate and the special knack that its caretakers and designers have for coaxing beauty from its fertile soil, the winery hosts its 18th Annual Days of Wine & Lavender this Saturday, June 28th, from noon to 4 PM. The wonderful afternoon celebrates Matanzas Creek’s special wines, including its newest releases of crisp, aromatic Sauvignon Blanc and its exclusive, hedonistic, Journey label. Guests stroll the expansive property, taking in the vibrant bust of purple and heady fragrance of lavender fields in full bloom while eating and drinking to their heart’s content. Live music keeps the tempo celebratory. New This Year: The festival will offer three sensory seminars with winemaker Marcia Monahan-Torres and Matanzas Creek wine experts: Sauvignon Blanc and Seafood Pairings; Merlot and Mushrooms Exploration; Exclusive Tasting of our Journey wines. There will also be special food and wine pairing stations throughout the event, a tour of the Lavender Barn showcasing how its luscious lavender products are made, photo booths, exceptional views and much more. Good Deeds: The event benefits the Ceres Community Project, a non-profit that involves local teens as gardeners or chefs. Ceres aims to bring 88,000 nutrient-rich meals to those with serious illnesses or to those in need in Sonoma and Marin counties this year. For more information about Ceres and its wonderful classes, visit http://www.ceresproject.org/.